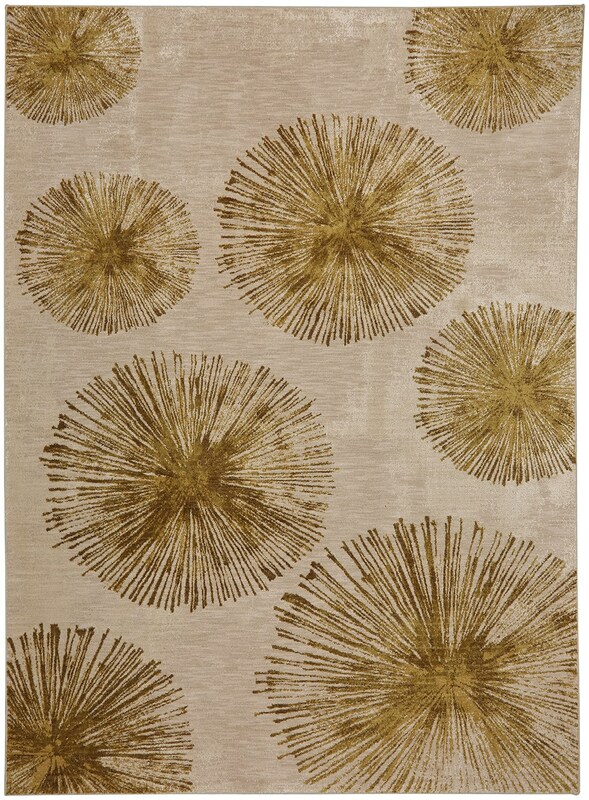 The Haight Brushed Gold rug is part of the Cosmopolitan Collection by Karastan. It is a beautiful contemporary rug with the softness that is unlike any other rug. The Smartstrand Silk rugs are made from 100% Triexta, which is a yarn made from renewable corn based resource, that has a natural lifetime built in stain and soil resistance. This particular rug has a fun and modern starburst pattern in beautiful yellow gold yarn with touches of metallic gold flex to give it a little extra. This rug is simply too good to be true. 925 points will be rewarded to you when you buy this item.